Photo: Attapeu does great sunsets. Set in the Xekong river valley in the southeastern corner of Laos, wedged between Sekong province to the north, Champasak province to the west, Cambodia to the south and Vietnam to the east, languid Attapeu is as frontier as it gets. Welcome to the deep dirty south of Laos. For anyone who has spent some time in Laos, the province’s reputation precedes it. We’ve heard fantastical tales of mining towns that are like the wild wild west, complete with saloons with swinging doors and patrons open carrying arms. We’ve heard whispers of a secret five-star resort in the middle nowhere, a pleasure palace catering to foreign businessmen and their mistresses. There are murmurs of a lake that yields diamonds, currently under heavy guard by the Vietnamese army—it takes a month’s time and many connections to obtain permission to visit. Is it true? The average intrepid traveller who ventures to Attapeu won’t see gunslingers, prospectors or painted ladies. You’ll glide along a virtually traffic-free scenic sealed road down from the Bolaven Plateau, and in the provincial capital you’ll see the fisherman casting his net, farmers harvesting rice, a woman guiding her buffalo home and kids splashing in the river at the end of the scorching hot day. You’ll see men gathered on low stools for coffee—a street scene that belongs in Vietnam, not Laos. Many of the signs and buildings are Vietnamese. Hotel and business staff often can’t speak English or Lao. The Vietnamization is Attapeu’s current narrative and their legacy for years to come. Once a fertile land rich with forests, minerals and wildlife, in just one decade the province has undergone horrific deforestation, both systematic and illegal, namely by two Vietnamese companies. One of the kingpins is Hoang Anh Gia Lai (HAGL), with hefty investment help from Deutsche Bank and the International Finance Corporation. After London-based environmental organisation Global Witness released the damning report Rubber Barons about the company’s illegal logging and land grab tactics, HAGL denied having ever destroyed or traded a single tree in Laos or Cambodia. Never mind the fact that Attapeu International Airport was funded by an interest-free loan from HAGL to the tune of 300 billion kip (US$36 million)—it doesn’t take an investigative reporter to connect the dots. The airport opened in 2015, conveniently in the middle of nowhere 28 km east of the city towards the Vietnam border. As of late 2016, service was suspended because—big surprise—nobody needs to fly to Attapeu. Word on the street is that the powers that be have finally ousted several foreign companies and suspended new mining concessions. Alas, it may be too late, much too late. Judging by the dust, winds stripping off precious top soil, the issues with severe flooding, the rivers now polluted by copper, iron and gold mining, the trucks that we still saw loaded with enormous trees, the damage is ongoing and may be irreversible. The initial frantic gold rush has subsided and the provincial capital has an overall feeling of a boomtown in decline with many of the hotels and restaurants built to cater to businessmen now sitting empty. Tourism has clearly been low on the list of priorities and except for accommodation, there is no infrastructure to support it. Aside from the excellent sealed roads connecting to Sekong, the Bolaven Plateau and the Vietnam border, most of the roads are dismal making distances without an off-road bike or truck insurmountable. The second challenge is the land is heavily contaminated with unexploded ordnances (UXO). Attapeu held several branches of the Ho Chi Minh Trail. Check out the SAM missile still parked 30 km east in Ban Pa-am. Bushwhacking and getting off the literal beaten track without a guide is highly unadvisable. One of the most promising sights is Nong Fa, a remote crater lake so blue that is also known as Sky Lake. It’s nestled atop a mountain way in the northeast corner of the province in Dong Amphan NPA, 170 km from town—100 km paved then 70 kilometres by dirt road. Given the distances and conditions, it would be difficult as a day trip from Attapeu. The government announced plans late 2016 to develop a 50 km route there via the Xe Khaman River, which the crater flows into. It’s something to keep on the watchlist, especially since it could open access to the park and ethnic Brao villages. There are a handful of minor sights around town to keep visitors busy. There’s Xaysetta Stupa, dating back to 1577 in Ban Vatthad 12 km away, or Wat Luang in the centre. Watch boats putter by at sunset on the southern banks of the peninsula. Cross the big bridge, do a big clockwise detour crossing the smaller bridge over the Xe Khaman to get to the other side of the river, facing back at town. Stroll through this quiet village which has another temple. Otherwise things of interest lie scattered throughout the province and require a dirt bike and a sense of adventure. The tourism office does have free maps that provide a high-level overview of where things are. There are numerous waterfalls including 23 m high, 120 m wide Saepha waterfall 60 km from town (one of three along the Xepian River), as well as Houakhon waterfalls 60 km north on the Xenamnoi River in Meunhuamouang village. There are also Brao (Lavae), Oy, Talieng and Alak ethnic villages. Perhaps you’ll find yourself sharing jar of traditional rice wine lao hai with the locals. It’s worth stopping into the tourism office to find out the latest situation; time and money may get you necessary permits and a guide. If this all sounds too difficult, it’s because it is—and you may find time and money are better spent dancing around Attapeu. Forays into Xe Pian NPA, which skirts into Attapeu’s western border, can easily be arranged from Ban Khiet Ngong in Champasak. Go trekking south of the Cambodian border in Virachey National Park. For ethnic minorities, there’s a few excellent local guides east across the border in Kon Tum, Vietnam doing authentic hilltribe treks. It’s not same-same but gives you a generous taste. However, if your appetite is for the frontier and the deep dirty south, mosey on down to Attapeu. The town of Attapeu is situated on a peninsula formed by the Xekong river. The highway into town cuts through as the main street and exits at the eastern tip of the peninsula with a bridge. The road continues east all the way to the Vietnam border. The town itself is a sprawling grid. The hospital is at the roundabout coming into town, the junction of routes 11 and 18. It’s rudimentary by Western standards and a mad dash to Thailand or even Vietnam if you have a visa is worth considering in the event of an emergency. Duc Loc 1 Hotel offers currency exchange. Most guesthouses have WiFi. 3G service is available in town. Attapeu’s dining scene is limited. You’ll notice just as many signs for Vietnamese bun bo (beef noodle soup) and com (rice) as you will see Lao grill restaurants. 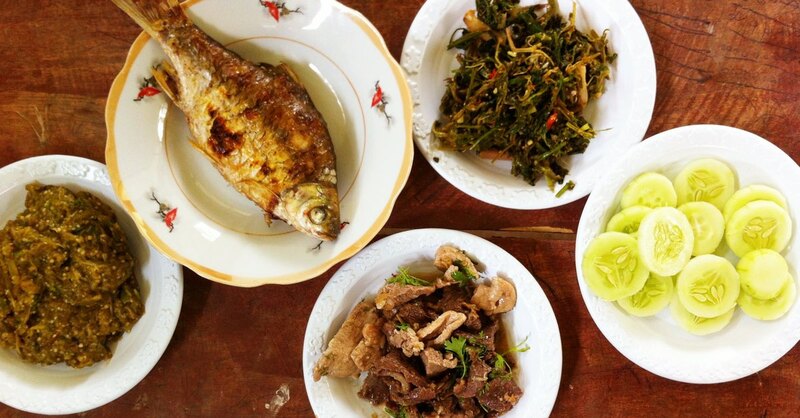 One spot we can recommend is Nang+Kulap Restaurant, a floating restaurant where the boat ramp used to be at the southeastern tip of the peninsula (a block west of Sokpaserd Riverside Guesthouse). Look for the gravel parking patch and archway sign to find the stairs down. Catch a welcome river breeze in the mid day heat, at sunset it’s a great place to watch fishermen drift by. The menu is only in Lao but there are pictures to point at or order orally for tom yum pa (tom yum soup with fish) or tom yum gai (chicken). Try laap moo (pork laap) with khao niaow (sticky rice) or khao jao (steamed rice). Dishes range from 18,000 to 50,000 kip, and are meant to be eaten family style so expect a big portion. Like Salavan and Sekong, Attapeu’s position near the epicentre of the Ho Chi Minh Trail means it is among the most UXO-contaminated provinces in Laos—people are still injured or killed every year. Stick to well used paths, follow the advice of locals and don’t pick up anything that looks like a bombie (a metal tennis ball-sized cluster bomb). The unmarked streets and middle of town location make the Tourism Information Centre difficult to find. The best way to describe it: head out of the peninsula on Road 11 and just after Dok Champa Hotel, at the Lao Development Bank corner turn right; the office is on the lefthand side a few blocks up. Alternatively, find the enormous Hoanh Anh Hotel and on its front facing road, head west two blocks. As of late 2016, the way from Sekong and Paksong is an excellent paved road. Road 18A connecting main arterial Route 13 to Ban Khiet Ngong and Attapeu is unpaved and very rough, suitable for off-road bikes only. We noticed a lot of inaccuracies on Google Maps for this area, and one person we spoke to who had worked in the region commented that it seems they’ve actually removed a lot of information. We can speculate that this is because the border and mining sites are sensitive areas. In any case, use map apps here with caution.  Please sign up as a Travelfish member to download the Attapeu guide PDF (2.4 MB, 15 pages). Membership costs just A$35 per year (less than A$1 per week) and gives you access to over 250 PDF guides. Last updated on 13th March, 2017. Browse our independent reviews of places to stay in and around Attapeu. Check out our listings of things to do in and around Attapeu. Read up on how to get to Attapeu. Planning on riding a scooter in Attapeu? Please read this. 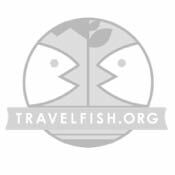 Use the above map to find specific destinations in and around Attapeu which are listed on Travelfish. Bed icons indicate a guesthouse, hostel or hotel, the knife and fork is an eatery or bar and the four-way circular thingy marks sights, attractions and other points of interest. Click on any icon for a short pop-up and a direct link to the page for that spot. If you are in the area, use the teardrop icon near the top left to show your position on the map (you'll need to allow position sharing for this last feature to work).